Just a little reminder to the bank beaters out there, just please watch out. But be nice to snakes there important and wont harm you if you dont harm them! Not only the bank beaters. This little fellow wanted a ride in the boat. Walk softly and carry a big stick! Good advice GK. Everyone stay safe this spring. I practice catch and release with snakes too. ;D ;D ;D I remember the cutest thing I've ever seen was at my uncles lake house. My cousin and sister were trying to kill a snake that was swimming by. I don't really like to kill things for no reason so I told them to stop so I could catch it. I got a stick over his head and grabbed him behind the head and on his body. I walked up to the house to show everyone and my 3yo niece came walking out with a cupcake in her hands. When she saw the snake move she screamed bloody murder and smashed the cupcake in her hands. LOL I laughed so hard. I then released it in a nearby feild and reminded everyone that snakes kill mice and other rodents that are bothersome to peoples lakeside properties. Snakes are coming out of their hibernating spots about now in states with real winters. Making their first tenative forays out into the spring. Please don't kill them. I love the little guys, I used to work at a Scout camp where I was the "Snake guy". As long as you dont antagonize or hurt them they wont try to bite you. I just give them their distance, and I've never had any trouble with them. 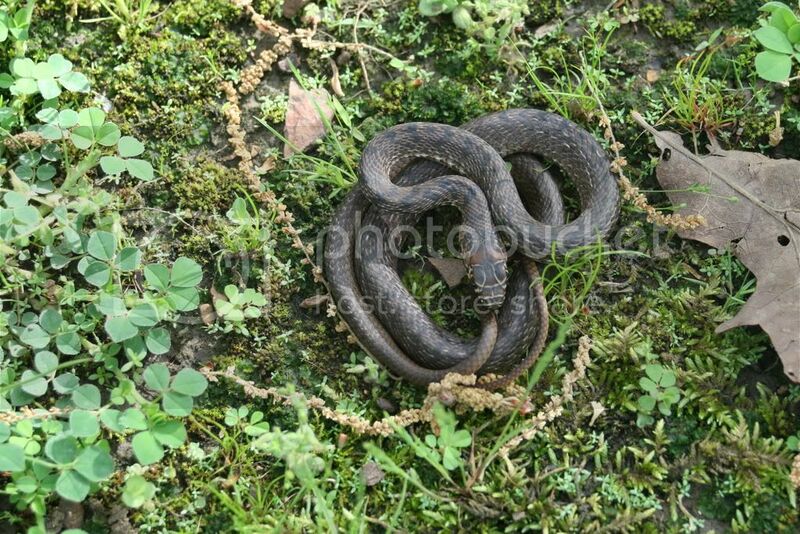 Most snakes I just leave alone but if I see a water moccasin I blast him. I keep a shotgun in the boat in case I come across one. They are just too dangerous and aggressive to have around. I've had several close calls and I've just grown to distrust them. Any other snake I come across is left alone. They are incredibly useful at controlling rodents n such. Washinton doesnt have western diamonbacks there actualy northern pacific rattlensakes. 12 gauge not necessary. Try one of these. I've had one for several years, and can attest to it effectiveness. i dont mind them just not in the same boat as me. really glad to know there's guys out there who think alike on this subject. Snakes really aren't very harmfull at all and 99.999999999999% of what people say are cottonmouths are harmless watersnakes. Please try not to go out of your way to kill them, I do understand killing one that gets in your boat but its unnecessary to go out of your way to kill a snakes just because it there. only one good use for a snake , a pair of boots. You guys are going about this the wrong way! Big bass love to eat snakes, so we should be using them to catch big bass! Embrace the snake! well i can't post a link b/c i'm too new here. So type in doug hannon without a space in your web browser and hit enter. You don't have to worry about Cottonmouths. They don't live in Northern Illinois. 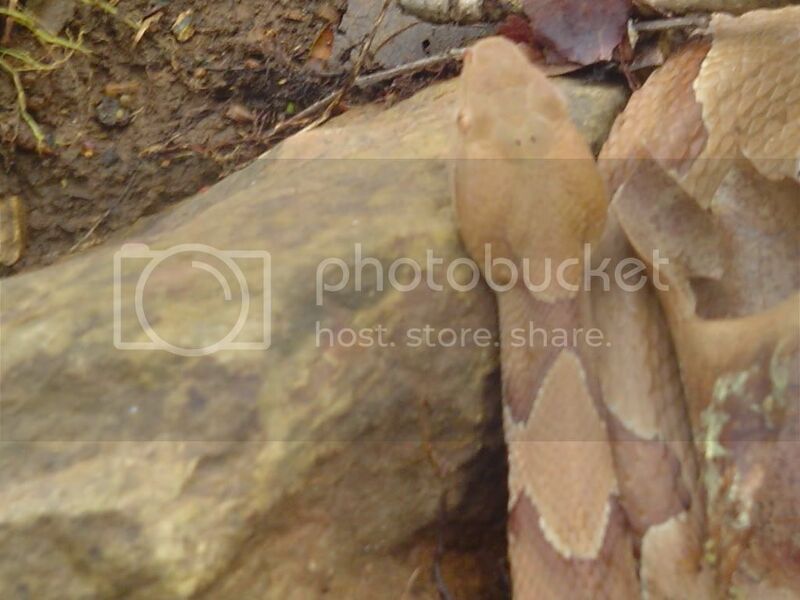 Just mind the Copperheads. Here's one I found last year. Beautiful snake. Fished a tourney and won, and everywhere we hit bass, we saw snakes on the shoreline, or in the water. We eventually started to call the day the snake pattern. Oddly enough, whenever we see snakes in the water, or along shore we tended to hit some nice bass. This tourney was down on the Chesapeake, and typically fishing rocky shorelines. Maybe a coincidence, but when we see a snake, we prepare for a hit. We have a tourney next weekend, FOM, snakes may not be out and about yet....trouble!!!! PS...I know rocks are good places to fish..DUH! Just one of those snake days, where everywhere we went, there were snakes....had never happened like that before.